Join us in the first viewing, on Friday 24th of August on Bonaire.tv, of the short movie of SOS Shark Night, part of STINAPA’s Shark Week 2018! 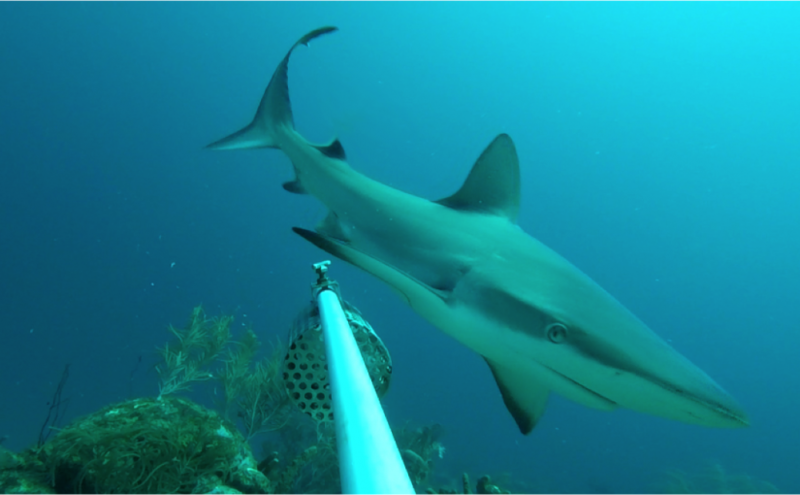 STINAPA Bonaire, along with the other Dutch Caribbean islands and the Netherlands, invited the community to celebrate Shark Week 2018 from the 9th till the 16th of July. During this week STINAPA organized Shark Night! It was an evening all about sharks; a Shark Art auction, a presentation and a short movie about sharks, shark games, and a raffle with prizes. The premiere of Shark Night 2018 will be on Bonaire.tv (broadcast on Telbo channel 70 and Flamingo tv channel … ), Friday 24th of August at 12pm. It will be broadcast again on Saturday 25th of August at 4pm and on Sunday 26th of August at 8pm. The Save Our Sharks campaign on Bonaire is focused on creating awareness in the Bonairean community, working with fishermen and conducting research on sharks. This project is an initiative of the Dutch Caribbean Nature Alliance (DCNA) and is made possible by the ‘Nationale Postcode Loterij’.